Are you an acoustic guitar fan? Enjoy this one-of-a-kind print all day, every day. 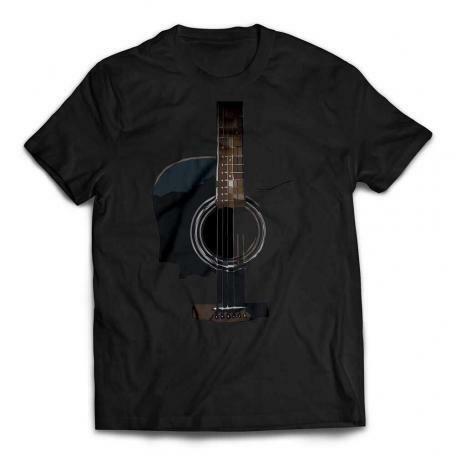 Wear this awesome acoustic guitar t-shirt with pride. 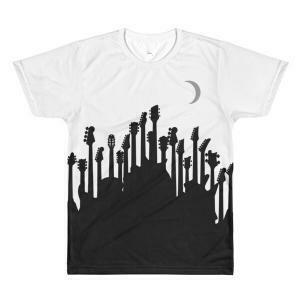 This unique guitar tee design was developed by musicians, for musicians. Now available for a limited time only. A fantastic T-Shirt with a 100% original design printed in and shipped from the USA. Show your passion for legendary guitar brands that have been competing for decades. Wear it with pride. Select your color and size below and then click “add to cart” to order. 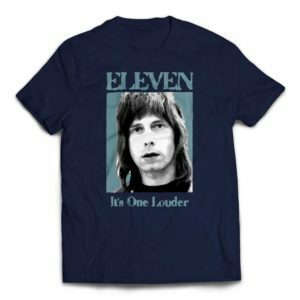 Love the eleven, it’s one louder. Are you a fan of Halloween? Show your appreciation for one of the best times of the year for having fun with this custom crazy Pumpkin Head Playing Guitar T-shirt! This awesome guitar tee also makes a great gift for guitar players – any time of the year! Show your appreciation for the best era of music ever with this simple yet attractive design. 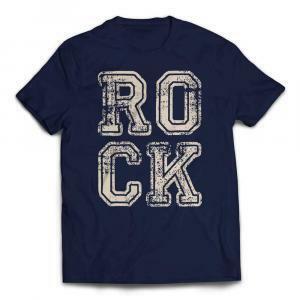 Enjoy wearing this premium quality vintage-style ROCK t-shirt at your next concert. 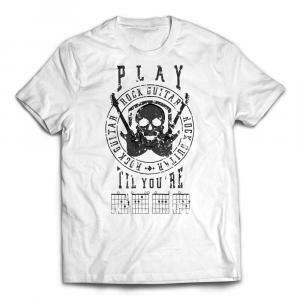 Play Guitar ‘Til You’re DEAD T-Shirt – A series of four chords that says it all. Play ’til you bleed out. 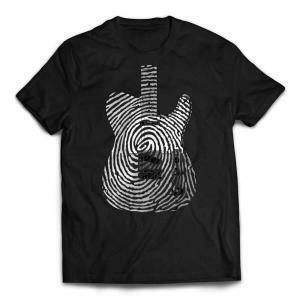 An original custom designed Telecaster guitar fingerprint t-shirt not found anywhere else. An entirely unique print just like the individual prints at the end of your fingers. The same prints that produce your favorite tunes through your most prized instruments. Makes a perfect gift for Telecaster lovers. 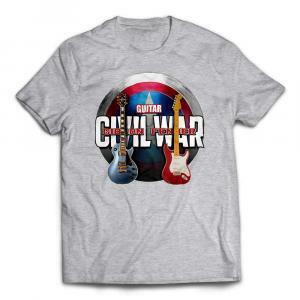 A tribute to an awesome collection of guitars all together on one great guitar t-shirt. Custom designed with an all-over front print showcasing a striking black and white guitar graphic. Makes a great gift for your favorite musician! Show you love for Telecaster guitars with this custom designed premium quality guitar tee at a reasonable price. This awesome guitar player t-shirt also makes a perfect gift for the musician in your family. Makes a great gift for Telecaster guitar lovers!